This one’s a bit harder than Poirot because, believe it or not, Agatha Christie only wrote twelve novels featuring her little old lady sleuth. However, for good reason, they remain some of her most popular books. They are all very easy reads, full of gentle humour and clever mysteries. 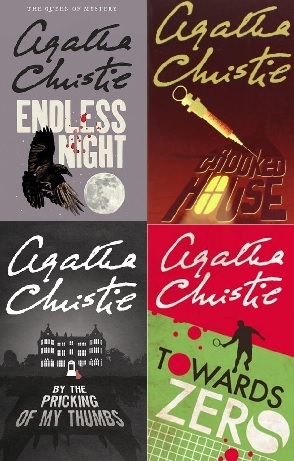 I think part of the appeal of these books is that the mysteries are very fair – you can usually work it out with a Marple book, if you can work out which direction to look in. 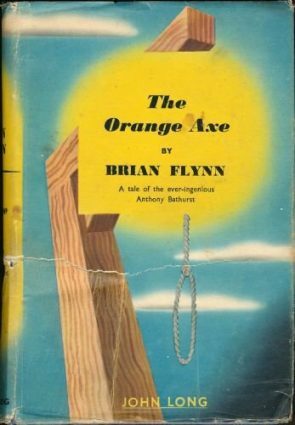 UPDATE: At the moment, for no particular reason, I’m re-reading the Marple books and am finding that the memory has cheated somewhat. I think that when I’m done, this list will be re-done. Still confident about the top three, but pretty sure that Nemesis won’t make the cut next time. 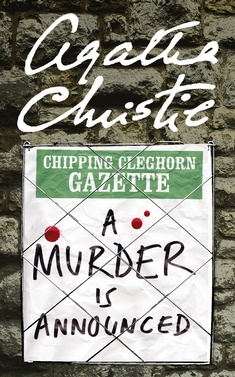 Everyone in the village is invited anonymously to a country house to see a murder. A masked man appears but then after the lights go off and a shot is fired, the man himself is found dead. 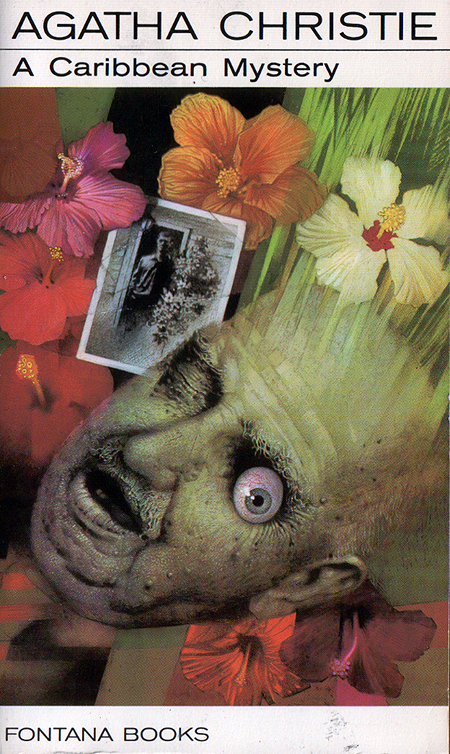 An excellent piece of misdirection, highly recommended. A banker is found poisoned in his office, the poison being administrated at breakfast at his family home. For some reason, his suit pocket is full of rye. More murders follow, until Miss Marple spots the pattern. 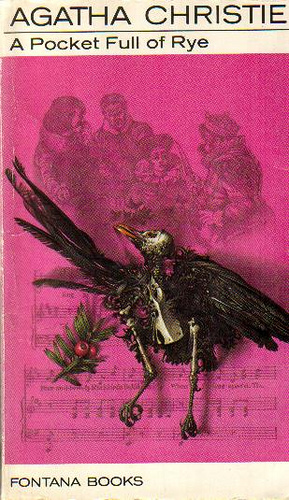 To be honest, you feel the link to the nursery rhyme is simply to give the book a good title, but it’s a cracking mystery which again makes perfect sense. Poison pen letters are all over the place in a village, which eventually lead to murder, obviously. There’s a lovely example of a clue that means something different to what you are supposed to think it does – if you get it, then everything falls into place. Something a little different – Miss Marple takes a road trip (well, coach trip) on the bequest of an old friend to investigate a mysterious death. Slightly reminiscent of Sleeping Murder (written earlier, but published later) but I prefer this one. 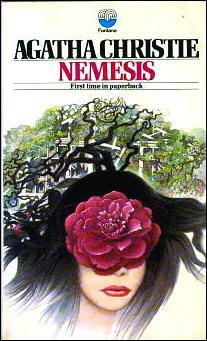 UPDATE: OK, I’ve now re-read both Nemesis and Sleeping Murder and Sleeping Murder is much better. When I redo this list, it’ll be on it in this slot. Despite being completely out of her comfort zone, on holiday thanks to her rich nephew, this is an excellent show of deduction from Miss Marple. If your familiar with Christie’s tricks, this is a very solvable mystery, but that isn’t a bad thing. One to miss – At Bertram’s Hotel. Marple turns up very late – you feel that Christie wrote this one and then someone asked her to put Miss Marple into it. The rest of the book isn’t very interesting either. Overall, I’d say the standard of the Miss Marple books is on average higher than the Poirot ones. There’s only one that I didn’t enjoy and if you avoid At Bertram’s Hotel, then you’re guaranteed an excellent and, most importantly, fun read. My dedicated Agatha Christie page has links to all of my Miss Marple reviews. A MURDER IS ANNOUNCED is also the one that I find the most satisfying of all, although BODY IN THE LIBRARY is extremely clever. 4.50 FROM PADDINGTON also suffers from not having enough Marple in it! But in general I have to admit to preferring the Poirot novels overall as being less repetitive (slightly less emphasis on family and relation from overseas maybe not being quite what they seem, although they appear throughout her books, no question) and slightly better plotted although Christie doesn’t exactly play fair – Queen’s ‘Challenge to the Reader’ often just wouldn’t work I don’t think. I agree that the murderer is obvious if you know the pattern that most Miss Marple’s follow. Personally, I like the sitting back and thinking approach as it differentiates her from most other sleuths. But her stories, for the most part, are usually pretty easy to solve. Get a kick out of the doctor who says the mysteries are “easy to solve”- who’d a thunk it? of course a 21st centuryy doctor is smarter than Agatha Christie.. why would I doubt that?? 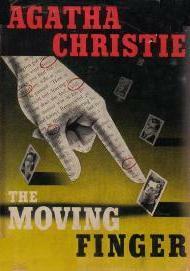 The thing is, Christie seems to use the same tricks over and over again in the Marple books. I won’t be so gauche as to say what they are, but if you can spot the murderer, you can usually piece together the rest of the plot. Christie herself admits this fact and pokes fun at herself for it through a conversation between Ariadne Oliver and Poirot regarding the same fact in Mrs. Oliver’s works. I’m pretty sure the conversation takes place in Cards on the Table though I might be misremembering the location. 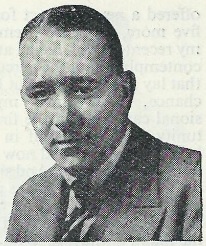 What are your top 5 Marple stories? I would love to hear. PS-I hope this does not count as a spoiler, since it appears in an adaption rather than an actual story? My apologies if I have spoken out of turn!